The fishing village of Funakoshi sits on the northern side of the Ogatsu Peninsula, about a one-hour drive from central Ishinomaki. Today, there is no sight of children at the Funakoshi Primary School, where the 17m-high tsunami flooded up to the 3rd floor. In the school building, however, you can hear the laughter of the ‘Funakoshi Ladies’ in their workshop, furnished with tatami-mats in the hallway. The ‘Funakoshi Ladies’ now famously make and sell necklaces and cellphone straps made from Ogatsu Stone, as well as “Kai-no-Netsuke (shell charms)”, a popular charm for happiness in marriage. 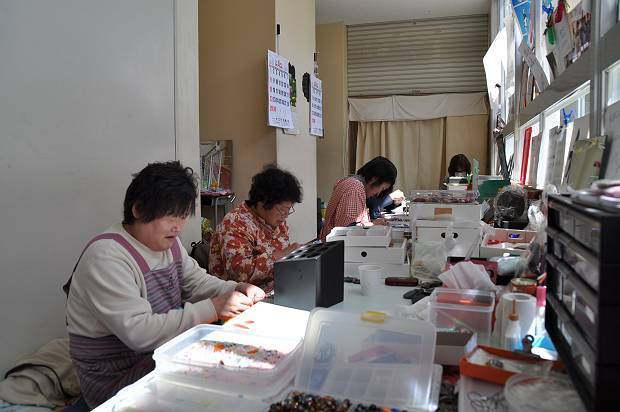 The Funakoshi Ladies started their handicraft business after giving Kai-no-Netsuke to disaster relief volunteers as a token of their appreciation. 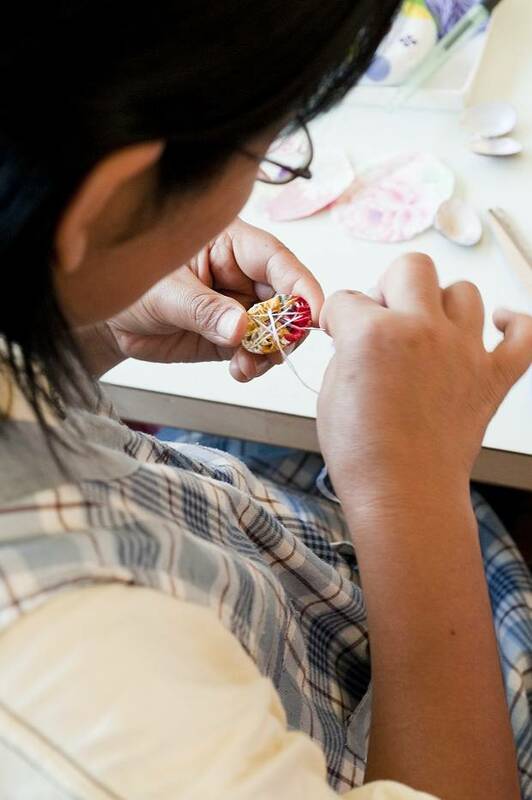 The ladies hoped that these little Japanese handcrafts would be popular particularly with international volunteers; in response, a group of international volunteers asked the ladies to make more, promising to take care of selling the items. In Funakoshi today, there is only one legally habitable house left, and no space feasible for building temporary housing. 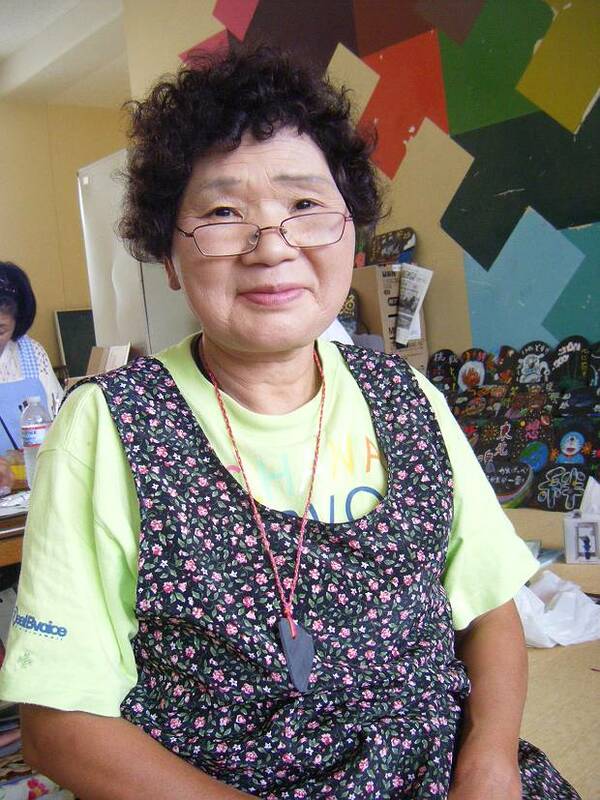 Most of the locals of Funakoshi are living in temporary housing in central Ishinomaki since the tsunami. 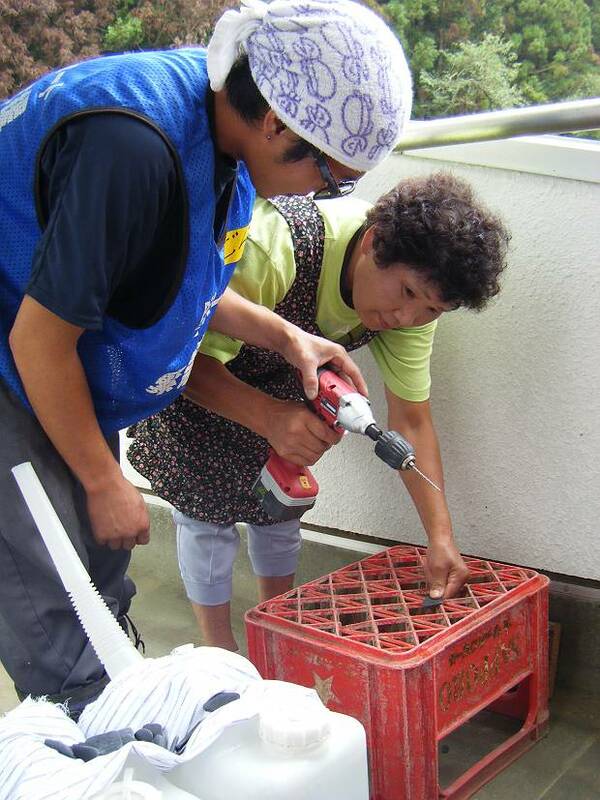 Mr Nakasato Koichi, the leader of Funakoshi fishermen, realized that the village of Funakoshi would have be abandoned, as outside support is only provided to areas with human activities. 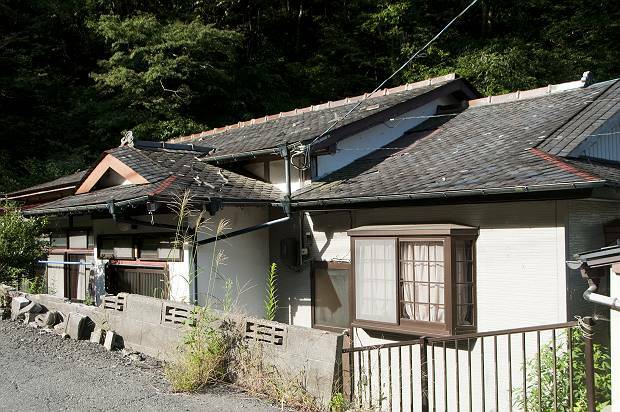 To keep Funakoshi alive, Mr Nakasato cleaned up the school building and convinced the local education council that Funakoshi locals could use the school to carry out various work and projects. Thus, in the school building, fishermen are now their maintaining fishing equipment and processing their harvest, while local women are working on handicrafts. The audio-visual room on the 2nd floor of the school is left untouched in remembrance of the tsunami. 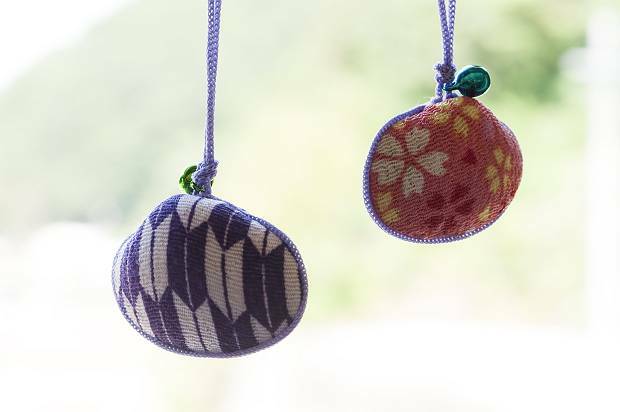 The handmade Ogatsu Stone accessories, for which orders come from both within and outside of Japan, were introduced to the Funakoshi group by Peace Boat. 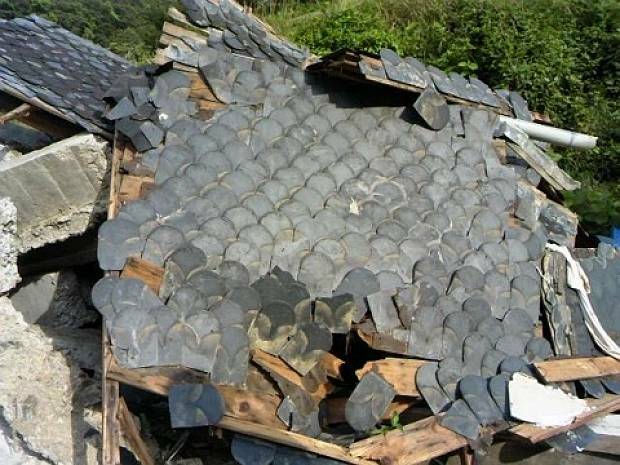 Ogatsu Stone is a type of hard black slate that was formed 250 millionyears ago. It is a specialty product of the town of Ogatsu and famously made into stones used for ink in traditional calligraphy. The beautiful black slates have also been used as roofing tiles in Tokyo Station. Houses in Funakoshi traditionally used Ogatsu Stone for their roofing tiles as well. 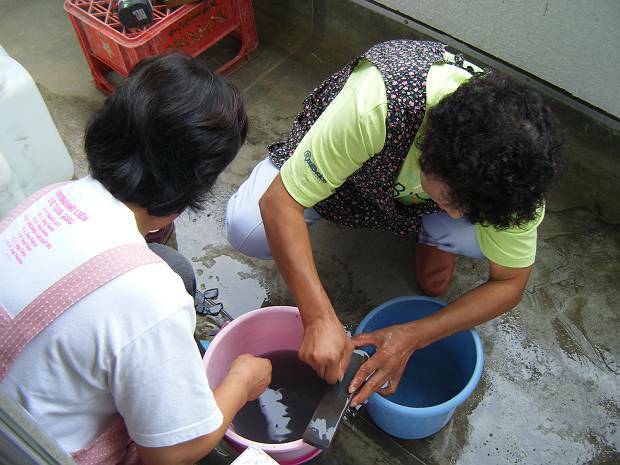 However, the tiles were found scattered throughout rubble and sludge after the tsunami. 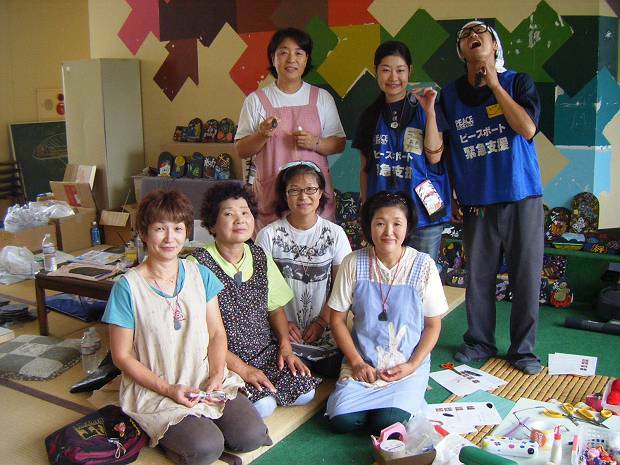 Initially, Peace Boat volunteers collected the tiles and made them into necklaces and key chains for the Kawabiraki-Matsuri, a local summer festival. The necklaces were very popular, and so in September, Peace Boat volunteers visited Funakoshi to conduct necklace-making workshops.